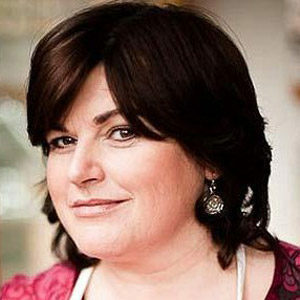 Diana Henry was named “Cookery Writer of the Year” by the UK’s Guild of Food Writers in 2009 and in 2007 for her column in the Sunday Telegraph. She’s the author of Crazy Water, Pickled Lemons, Cook Simple, Plenty, and most recently, Salt Sugar Smoke. She also writes for several UK magazines, including Country Living, Delicious, and House & Garden. Henry lives in London with her partner and children. Elegant and extravagant and easy. That’s these thin, delicate, curiously satisfying crêpes with caramelized apples and a rich caramel sauce. Rhubarb vodka. Yep. It’s a thing. And you’re going to want to make this tipsy spring tonic again and again and again. Simple in execution. Complex as heck in taste. Lovely as can be through and through. It’s remarkable what you can do with a can of beans. Here it’s transformed into a pretty classy purée (aka poor man’s hummus). There’s adobo and then there’s adobo. But let’s not get hung up on semantics. Not when these pork chops are waiting to be devoured.